As the days are passing by, the developers of Fallout 76 are revealing more and more information about the game. Recently Bethesda has released some more information to the fans. According to this, the game will also have a solo gameplay. One month ago, the developers made it clear that Fallout 76 would be an overall online experience. So how the solo gameplay will work is entirely unknown. Moreover, another question arises about the NPCs in the game. NPC stands for Non-Playable Character. The AI of a game controls them rather than a player. NPCs in a game serves various purposes but mainly they help in developing the game’s plot. However, there’s still no clarification by Bethesda about NPCs in Fallout 76. The announcement of the solo gameplay can also mean that the players will be on the same server alongside other players. The previous Fallout games feature quest. These quests came from NPCs in the previous versions. Fallout 76 will also feature this mode. Furthermore, Bethesda has stated in the game’s description that every character in the game will be under the control of some player. Of course, this has created a lot of confusion among the fans. Maybe it’s a bi marketing statement by the developers. Also, they said it to make things clear about the total online experience of the game. Fallout 76 can be a very different type of game if it does not feature any NPCs. Every game relies on its NPCs to relate the narrative of the game. These characters are the key to the unique story of the game, making it more adventurous. The developers were very clear about one thing though. 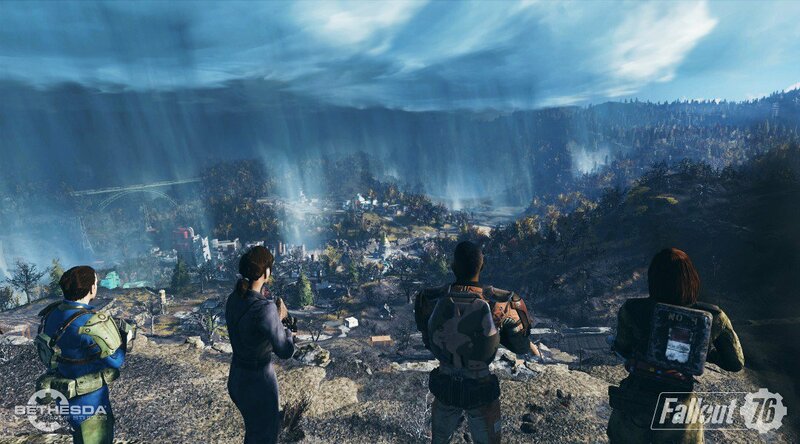 Unlike previous games, Fallout 76 will not have followers anymore. Of course, real players will replace them now. No NPCs in the game can also mean that the vaults in the game will not get claimed. This is a quite different thing than the previous games’ version. The only way to know whether the game will have NPCs or not is a Beta release of the game. Fallout 76 will release worldwide on November 14, 2018.